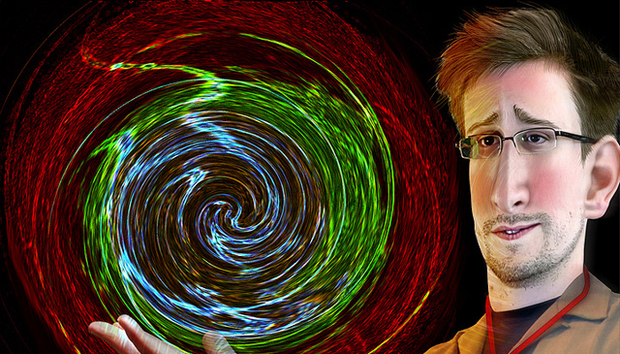 It is coming up to a year since Edward Snowden revealed the NSA’s PRISM surveillance system to the world. The content of his allegations rocked public trust in the internet and the revelations have turned the concept of data security completely on its head. Just as we’ve watched the continual stream of media headlines detailing Snowden’s latest exposés, we have equally observed the rising scrutiny and lamentation of the snooping. Tech giants, politicians and businesses across the globe have all felt the after-shocks of the PRISM allegations but how exactly have they responded? The political and tech spheres have dramatically upped the ante against the surveillance program. Pretty swiftly after the revelations, Google, along with Microsoft and Yahoo!, pledged to protect its customers from NSA snooping, with Google the first to offer a fully encrypted Gmail service. We have the likes of IBM spending more than a billion dollars to build data centres overseas to reassure foreign customers that their data is safe. German Chancellor, Angela Merkel, has gone a step further and called for a complete separation of the European networks, so that no information passes through US data centres. Whilst high-profile after-shocks have been felt across the business world there has barely been any coverage in the media of how the NSA revelations have affected organisations’ processes. Recently, we commissioned an independent report that concluded almost nine tenths of ICT decision-makers are changing their cloud buying behaviour as a direct result of Edward Snowden’s allegations. The report, NSA After-shocks: How Snowden has Changed ICT Decision Makers’ Approach to Cloud has found that many businesses are rethinking their use of cloud. Naturally, the first thing that businesses are going to do when such a scandal hits is question whether their data is safe. It makes absolutely no sense for companies to then, knowingly, keep their data in a country where there has been proven snooping. This constitutes a significant business risk, and it’s why 97% of European CIOs now want to buy a cloud service that’s located in their own region and away from prying eyes. Some businesses would like to take an even stronger measure to protect their data though; 82% of the global CIOs we questioned agreed with proposals by Angela Merkel for separating data networks, but this is not an easy or overnight solution. In theory, the idea Merkel proposed works but in practice it brings up many problems for business trading outside of Europe and the individual levels of risk and security of each EU country. While the German Chancellor’s proposal may be technically difficult to implement, the response indicates the lengths that CIOs would be willing to go to in order to protect business data. The NSA allegations have hardened ICT decision-makers’ attitudes towards cloud computing, whether it is modifying procurement policies, scrutinising potential suppliers or taking a heightened interest in where their data is stored. However, implementing data encryption and/or partnering with cloud providers that keep information within national boundaries that are suitable for the organisations, are initiatives CIOs can use now. Despite the scandal and global security threat, business executives are still turning to the cloud to help their firms become more agile, and foster technology innovation. ICT decision-makers are working hard to find ways to retain those benefits and protect the organisation against being compromised. They are optimistic that the industry can produce workable solutions to restrict data flow and encrypt data so providers should focus on these or face being left behind in the global cloud race.